I might have gone a little too far this time. Modified (again) my Noctigon M43. It now has 12 Samsung LH351D W2 5000K emitters and makes 17,284.5 lumens on 4 Samsung 30Q cells. 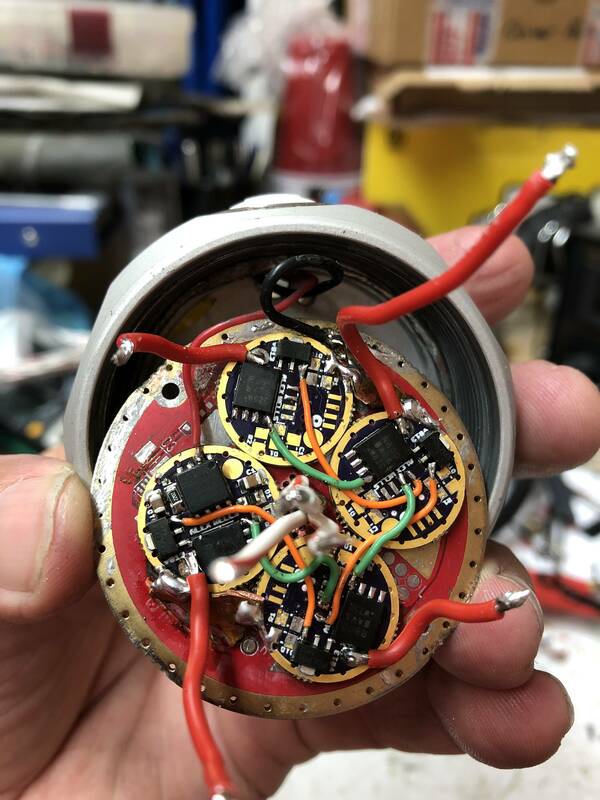 I used an FET+1 driver that I built, flashed with Anduril and utilizing the SIR800DP MOSFET, with 3 slave boards each also having the SIR800DP and an 350mA 7135 chip. Each of the 4 FET’s control one triple board. I don’t know for sure but I’m assuming power draw is in the 60A territory. Lightning on Anduril at 17,000 lumens is pretty awesome! I am amazed at all the modding experience going on here. You guys are Good. So much to learn about drivers, I will try to keep up. It sure is tiny for 13A. You sure that may be a World Record tiny high amp setup ? Wow !! A 2 in 1 tonight. Nitecore Cx6 (this particular one started out white / red), it now sports a XP-L and a green XP-E2 cause that’s what I had laying around and I like building them as much as using them. I plan to get a PC amber XP-E2 next parts order and replace the green one then. 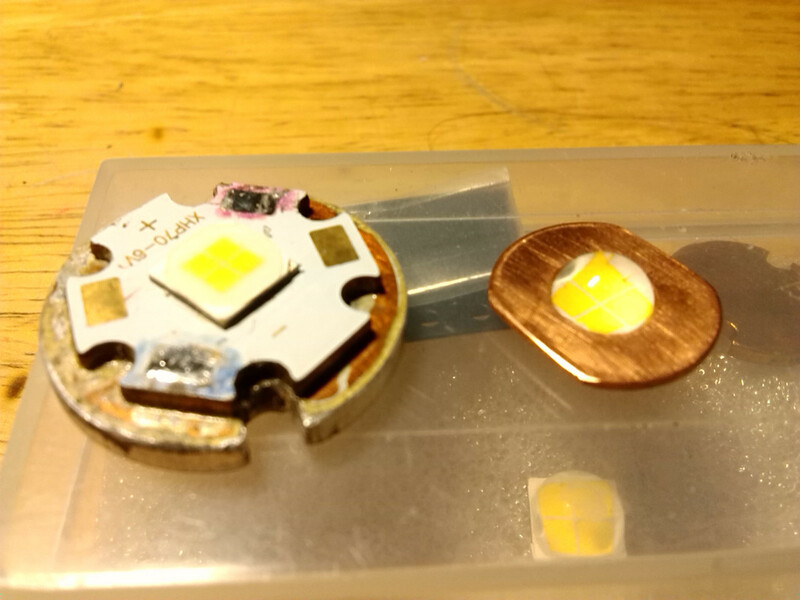 The color led driver is my last BLF-SK68 board, the white driver is a blf-17ddv3. These are my last two 13A driver builds! Both run modified versions of TomE’s e-switch13 FW. First we strip the factory driver and hook to the switch pads, while you’re at it find batt+ and GND on the factory driver contact plate. 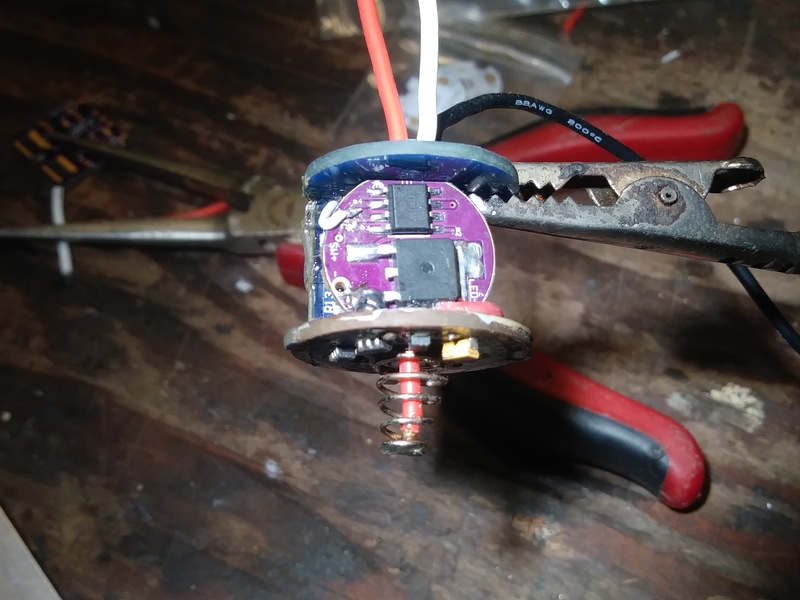 Pry up the FET’s gate and add a 130ohm resistor cause for some reason the 17dd interfered with the other led on medium and high (but not ml, low or turbo) and started LVP ramp down immediately without it. 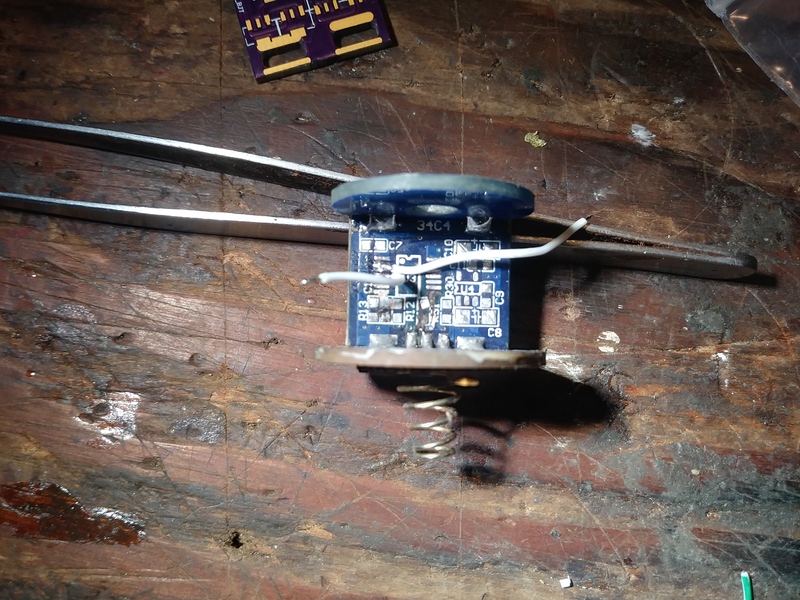 The gate resistor fixed that! Glue is drying in the head, probably be tomorrow before I can wire the emitters up. 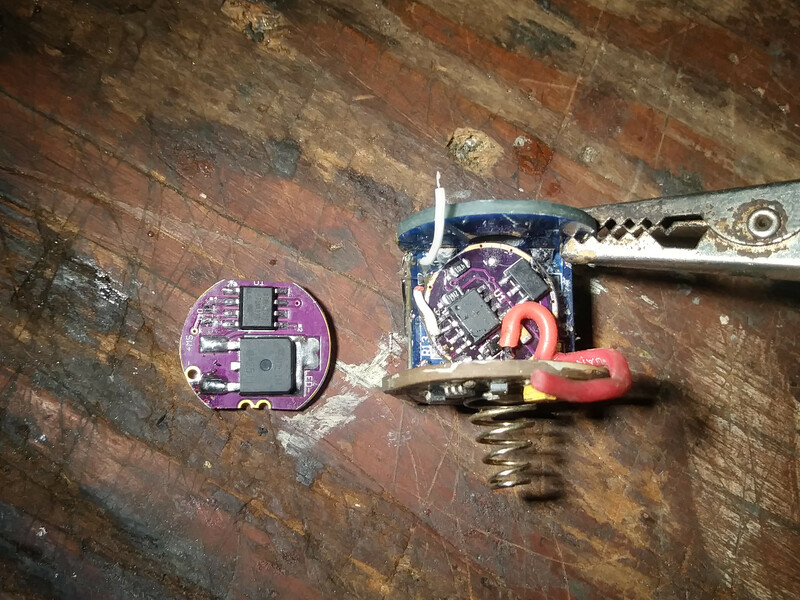 This evening I soldered a loop into one of the triple boards to check current at the emitters, each board is pulling 14.53A for a total of 58.12A, an estimated ~188 Watts. Each Samsung W6 emitter is pushing 1460 lumens for 17,526 lumens at start on 4 Samsung 30Q cells. Makes for one CRAZY lightning show! I am amazed at all the modding experience going on here. You guys are Good. I couldn’t agree more with you CNCman. And that goes to the program creators for these drivers as well. 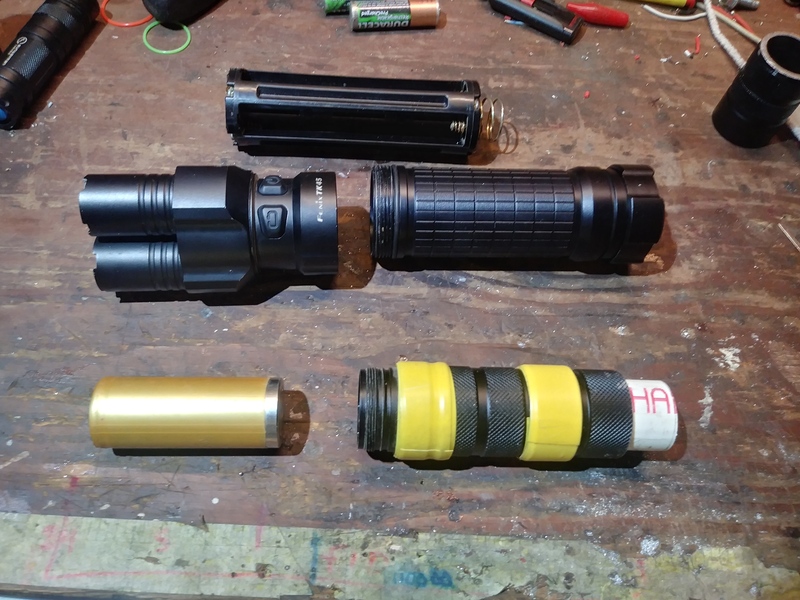 Not today but added a lighted tail switch to the FourSevens Mini ML Ti Triple Nichia 219C 5000K. LD-A4 3A driver - Start around 1800lm DD 60°C, 320lm stepdown 25s. 942lm CC 60°C, 270lm stepdown 60s. White LED's under the green GITD silicone circling the reverse clicky titanium switch cover. New GITD titanium switch cover for the FourSevens PK Paladin Triple XP-G2 3D. 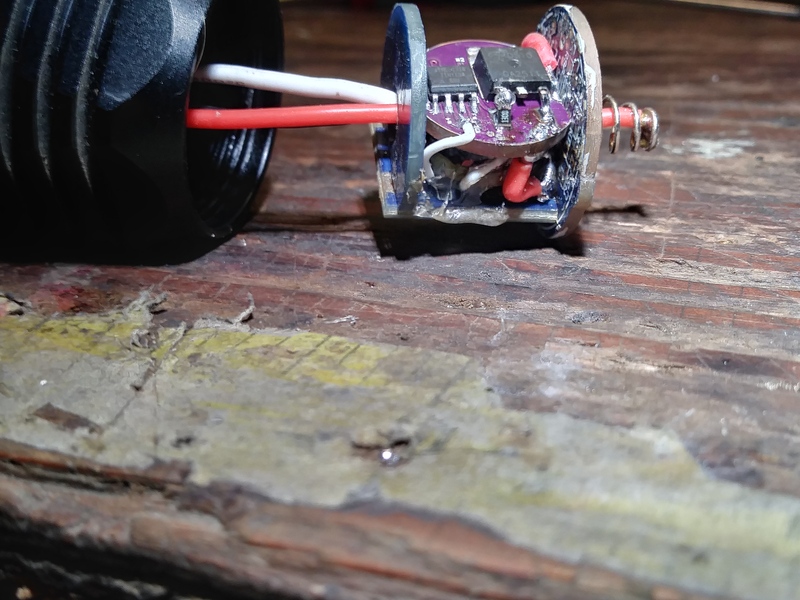 FET 15+1 driver, reverse clicky tail switch - Start around 1900lm DD, 928lm stepdown 30s. Fantastic CRX. Man I like that mini. I wish I had your smarts CRX. …and a certain amount of talent, an eye for detail plus a sense of craftsmanship. Be careful, that’s enough amps to Weld Steel with !!! 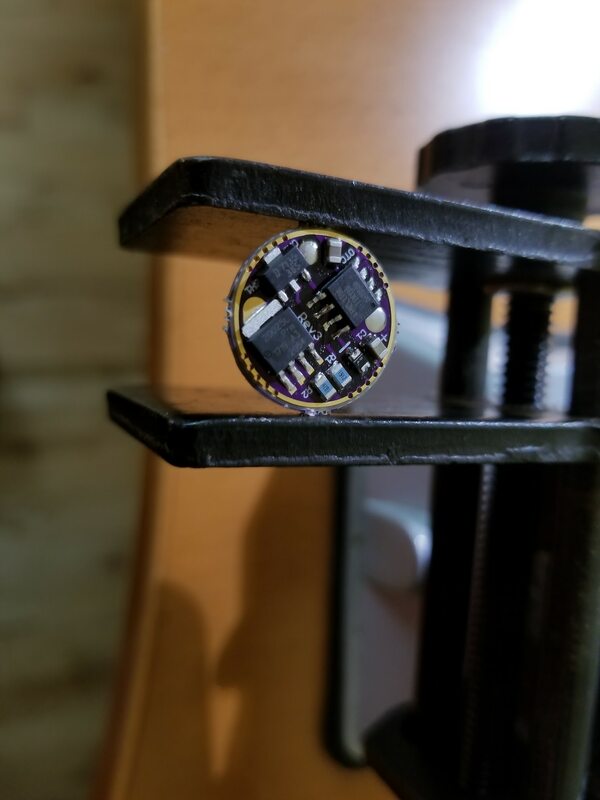 I lost with this , I need to back up to the beginning of your mod to understand what your making. Built a PD68 tripledown board. Still a bench project but I do have one in a light but it is just pressfit and not soldered in yet. It runs Bistro-HD right now. Still yet to settle on mode groups and actually build them out. 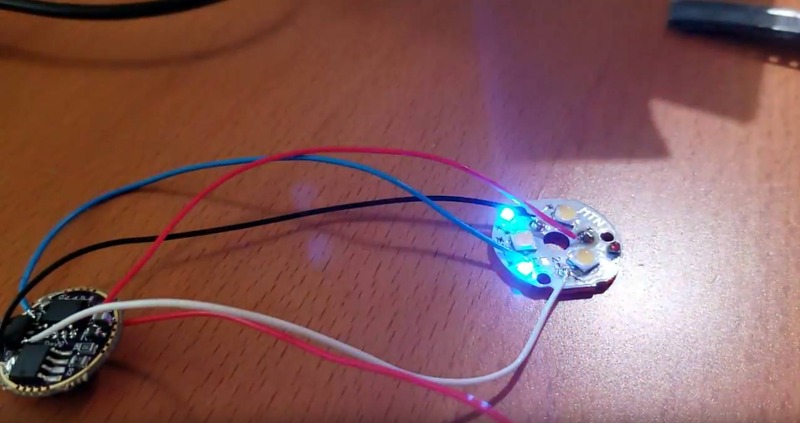 LD-A4 3A driver – Start around 1800lm DD 60°C, 320lm stepdown 25s. 942lm CC 60°C, 270lm stepdown 60s. White LED’s under the green GITD silicone circling the reverse clicky titanium switch cover. I believe you filed the MPCB and optic to fit into the head? 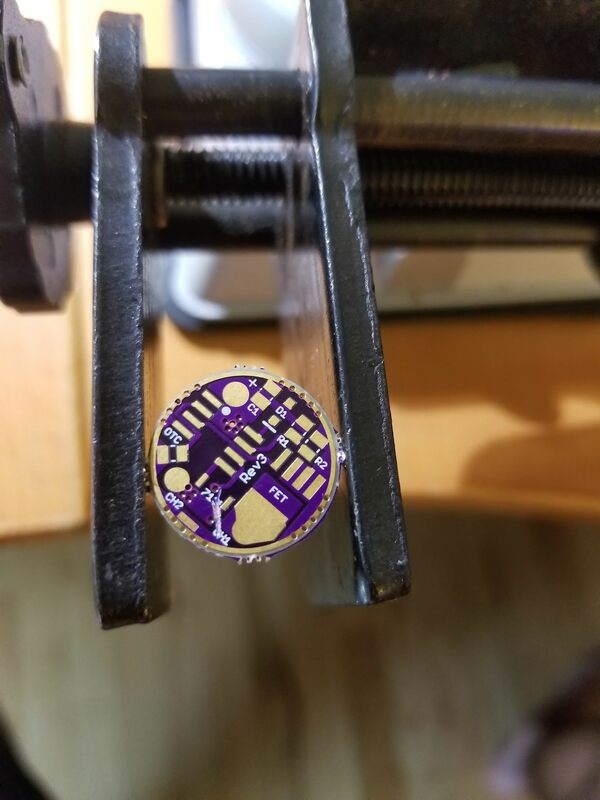 Yes, MCPCB diameter just over 18mm to fit. 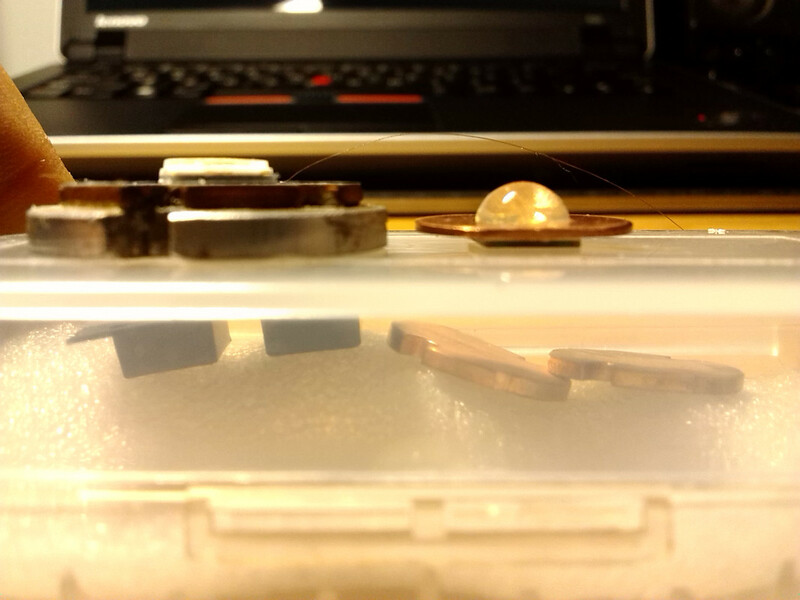 The pill has some extra copper added too. 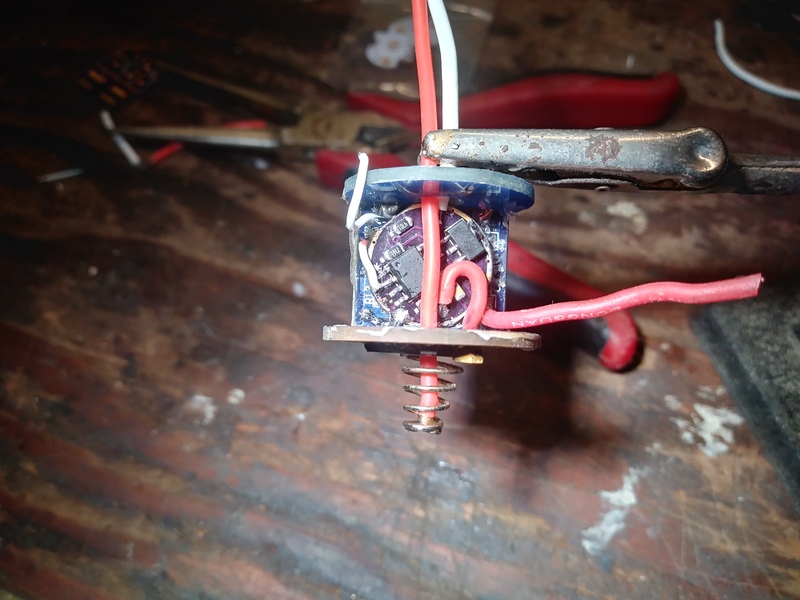 I’m not quite ready to make permanent modifications to this light for Mrs. manithree, so I made a drop-in replacement for the incandescent bulb using a high CRI Yuji strawhat, a brass washer, and some copper wire. Looks good manithree. Hows the beam in the reflector? Nice, that will run forever direct drive on two alkalines! I was hoping to get the emitter just a little further forward than it ended up. So it’s a doughnut. And it’s significantly less bright than the incandescent which had a slightly worse beam pattern. I have a couple of eneloop AAs in C sleeves to run it. 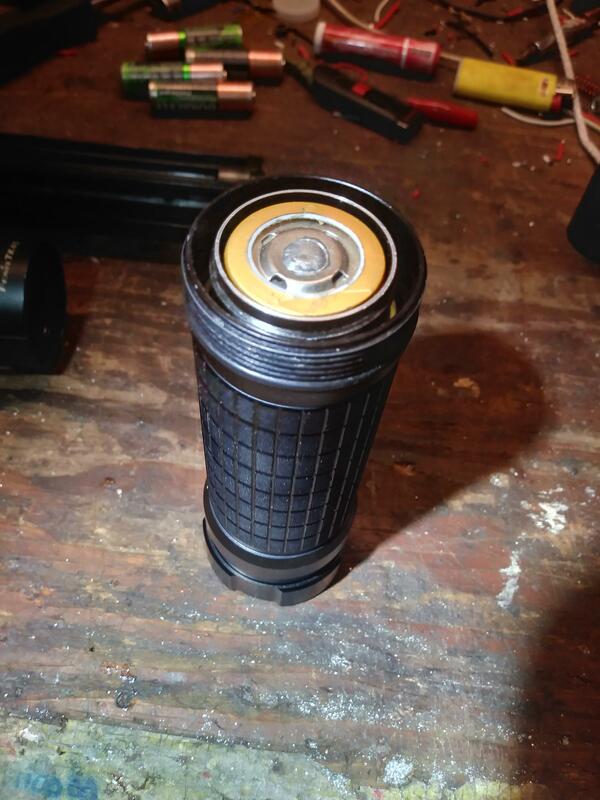 A flashlight that old that has never had an alkine leak in it should be kept that way, IMO. But, yeah, it’s not very bright, so I expect battery life won’t be a problem. Ok, so y’all know by now that the right cell can make a big difference, right? 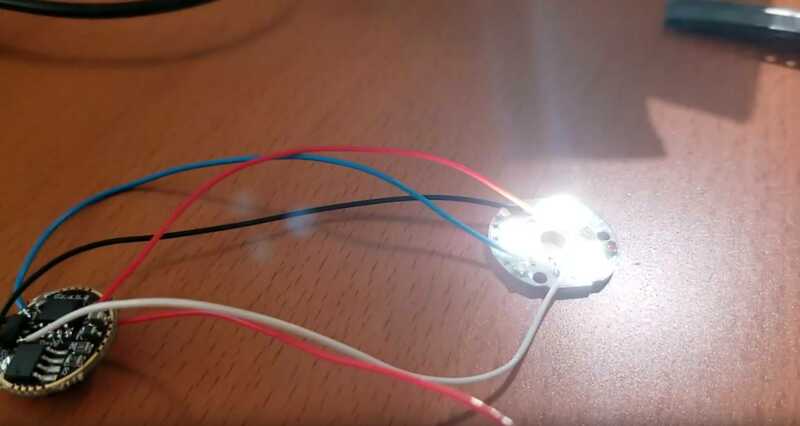 I mean, you go to a lot of trouble modding a light you want to use the cell that’s going to show it off, sure ya do! So, I got the new Samsung’s in my Meteor and made some tweaks, with Samsung 30Q’s it was making like 17,528 lumens, right? But how can that be enough? I mean, the math said there was more to found so I ordered some of the new (to me anyway) Samsung 25S 18650’s. Supposed to be directly comparable to the Sony VTC5A and 5D cells. 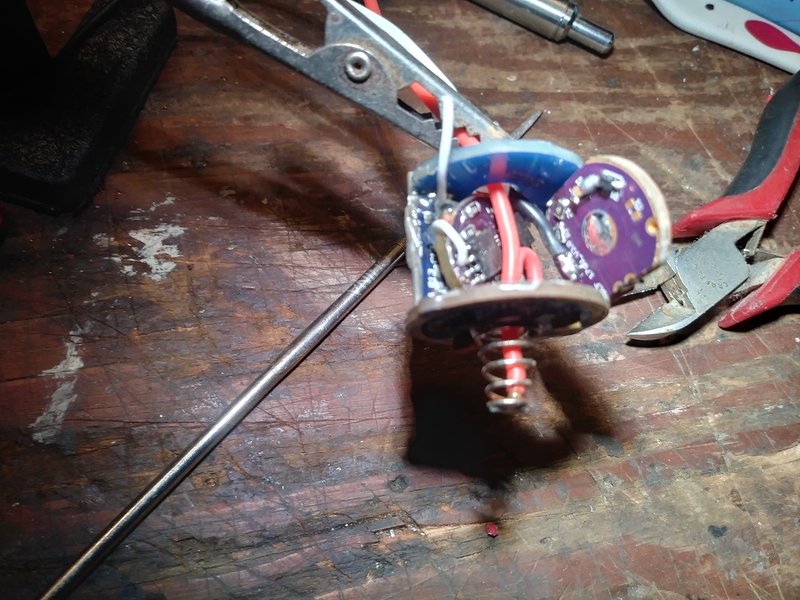 Got solder blobs on 4 out of 8, got em charged up, stuck em in the Meteor and fired that bad boy up! AND…. 18,940.5 lumens at start! Yeowza! Tonight I converted my TK45 to be able to swap back and forth between the 4/8 AA carrier and a 26650. Looks very nice, can you measure the thickness? Zozz, curious… did you, when making the slice, use a push cut a slice cut? What I mean is, did you push the razor blade straight across to slice the dome off or did you drag the blade in a slicing motion? 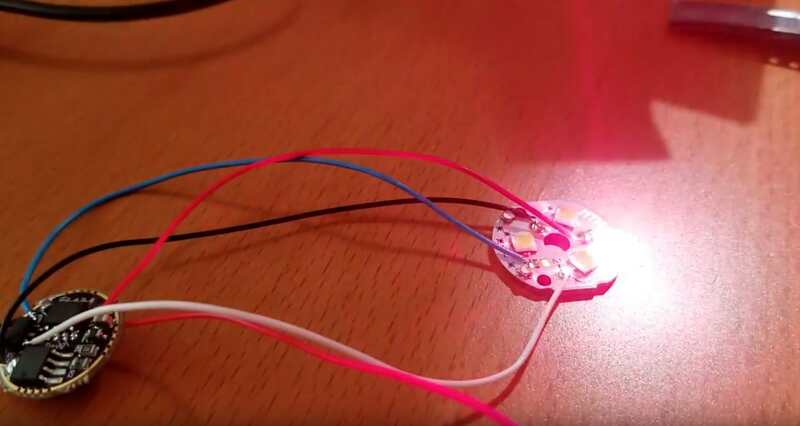 Other leds I used silicone grease on the razor and I made it in a slicing motion. For this one I forgot to grease so cutted straight in I mean sliced. So it has a little crack in the left dome but luckily on the very edge and not above dies. First time not pushed down very much on the shim so get a little left to make it clean. 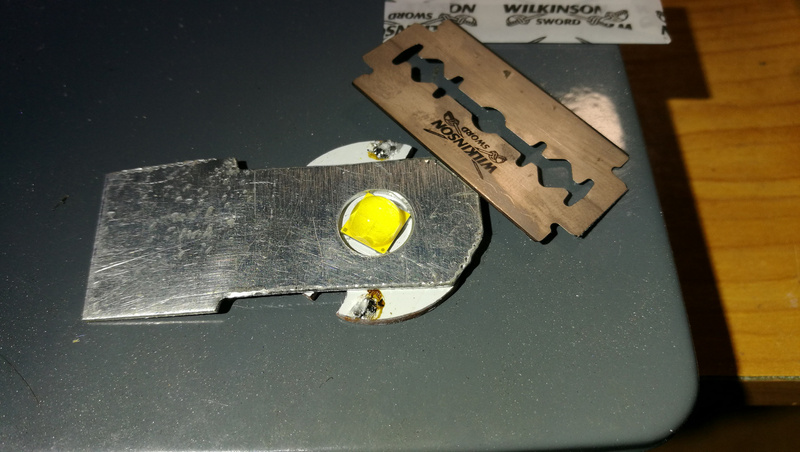 Then I pressed more on the helping plate and I holded the razor in a little angle and gone through the led from every four side because on the leaving os running out side the blade always left thicker material. It is better to grease the blade. Maybe on the next for the GT I will make a better cleaner job than this one. 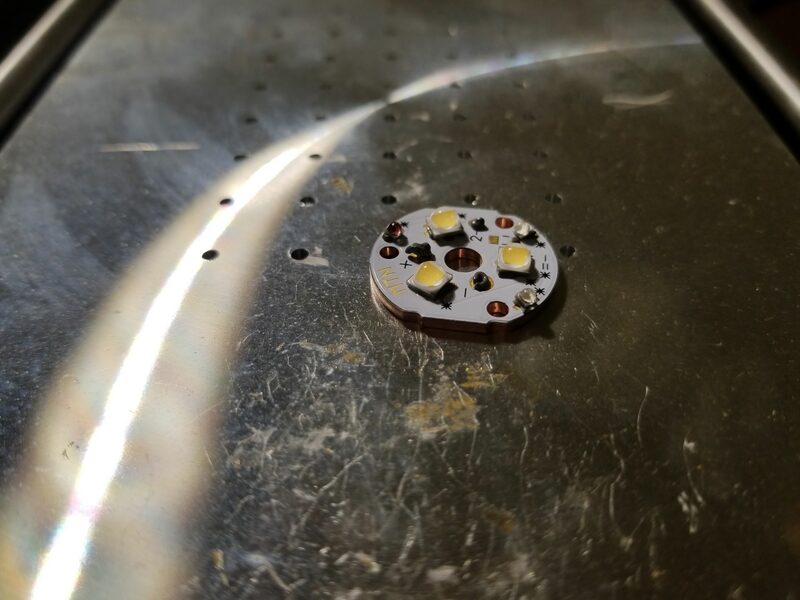 What do you guys use for sanding a LED, normal sandpaper?